1. On March 2nd, I learned that actually turning 30 was not nearly as bad as the prospect of turning 30: the last few months of being 29 were pretty rough, but by the time I reached my birthday, I had already done most of my mourning and moved on to the acceptance phase. I am still not totally comfortable with the fact that I have entered my third decade, but I am slowly coming to terms with it. 2. Apparently I am not the only one who struggled with turning 30. 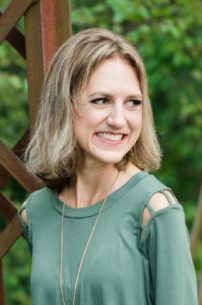 After I wrote about how I was grieving the end of my twenties, many people shared that they, too, had a hard time accepting 30. It’s good to know that I am not alone. Thirty Candles, laid out by my husband. 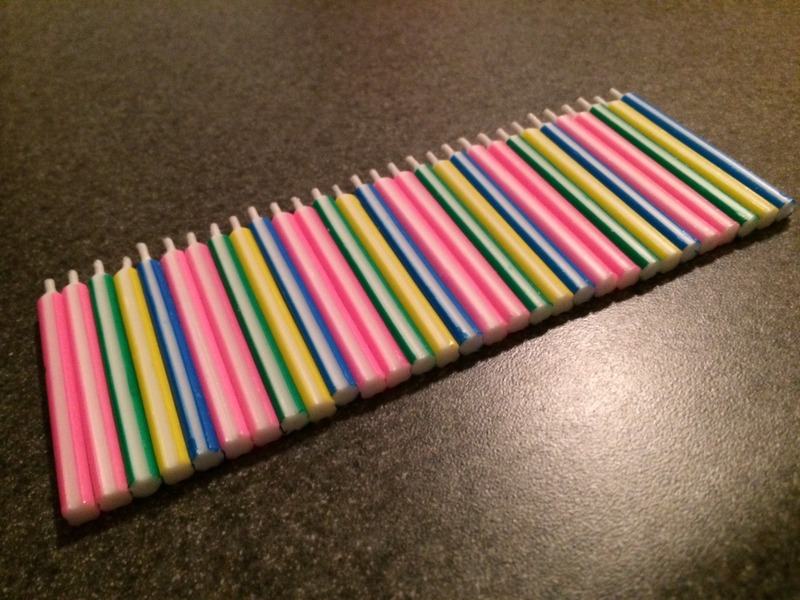 And he says I am the one with OCD! 3. Age – and our perception of it – is completely relative. During a presentation about Mary, Queen of Scots, one of my 2nd-grade students told the class that Mary was “about Mrs. Jernejcic’s age” when Mary returned to Scotland from France. Curious as to how old my student thought I was, I later Googled the Scottish queen to discover that Mary left France at the age of . . . 19. That’s right, my student assumed that I was about 19 years old! If she was trying to flatter her teacher, it definitely worked! 4. My birthday present from Luke was a MacBook Air, and I have discovered that I absolutely LOVE the freedom that a laptop gives me to work away from home. My last computer ceased to be a real laptop a couple of years ago, due to a battery “malfunction” that kept me tethered to a power outlet and made working in public very inconvenient. Thanks to my new computer, I am now a mobile blogger! 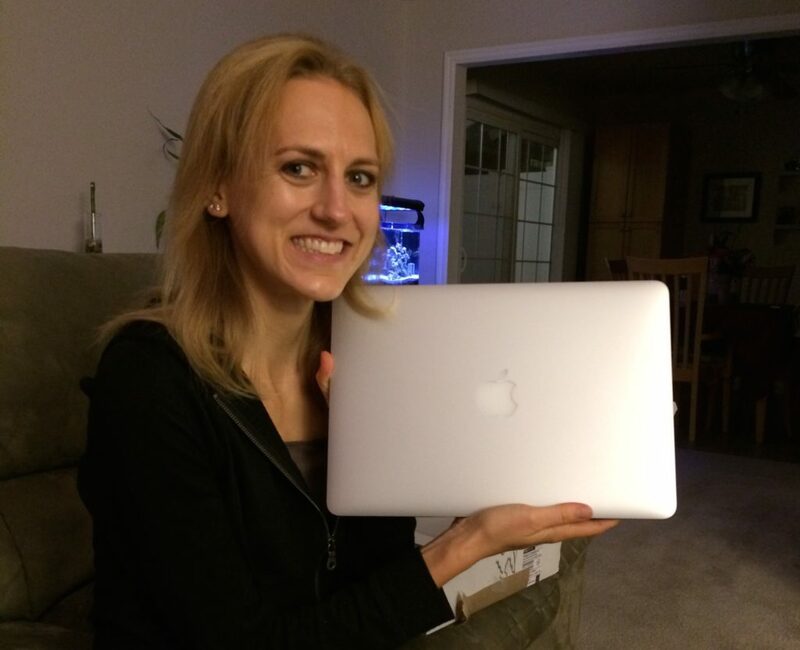 Meeting my MacBook Air for the first time! 5. The Monday after Daylight Savings Time begins is known as “Sleepy Monday,” and there is a 6% increase in the risk of having a car accident on that day. While I enjoy the longer evenings of Daylight Savings Time, I have been having a rough time with the transition this year – something about getting up earlier now than I have in the past, and it still being dark when the alarm goes off. . . .
6. When getting your ears pierced, you should definitely comply with the suggestion to wait four weeks before removing the earring. (WARNING: If you are at all squeamish you might want to skip ahead to #7. The following story is not for the faint of heart!) This month, I got my ears pierced with a second hole in each ear. The day after I got them pierced, I was cleaning out the holes when one of the earring backs popped off and the stud fell out. In trying to reinsert my earring, I couldn’t find the back of the original hole and inadvertently repierced my ear. Luke was standing several feet away and actually heard the earring puncture my skin. 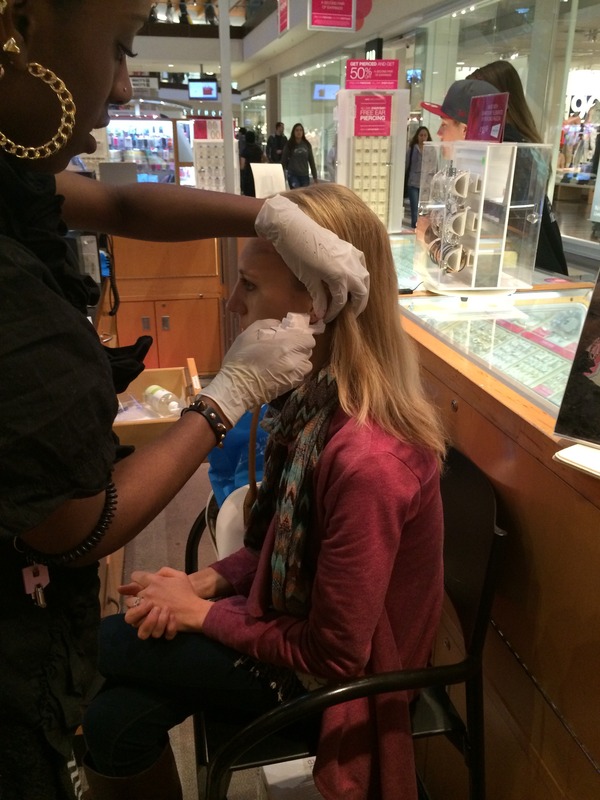 This was one lesson I learned the hard way. . . .
Getting my ears pierced – I look a bit nervous! 7. I finally joined Twitter this month and learned that it is not nearly as intuitive as one might expect. As I slowly get the hang of things (this tutorial has been very helpful), I am discovering that Twitter is nothing like Facebook, and I kind of like it that way. 8. Speaking of Twitter, I learned that the average person on Twitter sends out 22 tweets per day! I am a bit behind – I haven’t sent out 22 tweets in a month! 9. Many Ugandan children are seriously infected with jiggers, small sand flees that enter bare feet and burrow into the skin. This month, my Bible study partnered with Sole Hope and took a step toward helping these children by participating in a shoe cutting party. 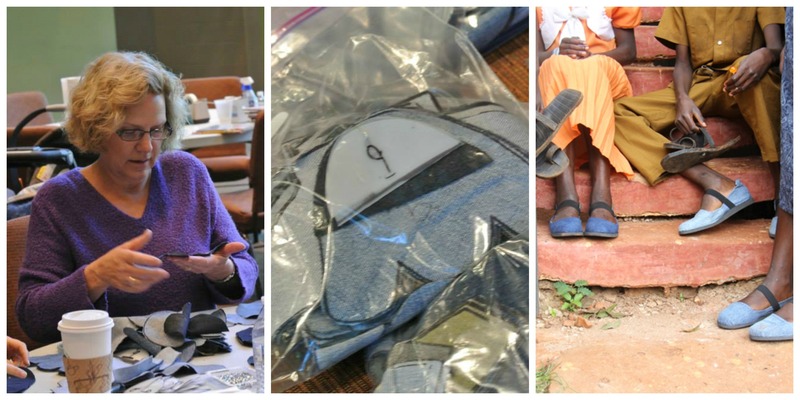 We cut blue jeans and plastic milk jugs to provide materials for 190 pairs of shoes! 10. Being nervous makes me say embarrassing things. Case in point: it was St. Patrick’s Day, and I was teaching a lesson as part of an interview for a teaching position for next year. I’m not sure why I was nervous because I teach students all the time, but I knew that I was being evaluated, so I definitely had a case of the jitters. Before I began the lesson, I told the students I was glad to see they were all wearing green for St. Patrick’s Day, which was good because it meant I wouldn’t have to punch them. Yes, you read that right. I accidentally said “punch” instead of “pinch.” I tried to pass it off as a joke, but if I don’t get this teaching job, I will assume it is because those in charge of the hiring process suspect me of violent proclivities. For the record, I have never punched OR pinched a child! 11. I am much more likely to enjoy a book set in a foreign location when I have actually visited that country. I recently listened to the audio version of Dan Brown’s Inferno, and though the book itself was mediocre, I ended up giving it a 4-star rating on Goodreads because I had so much fun reading about Florence, Venice, and Istanbul, all countries I visited on a Mediterranean cruse with my family several years ago. 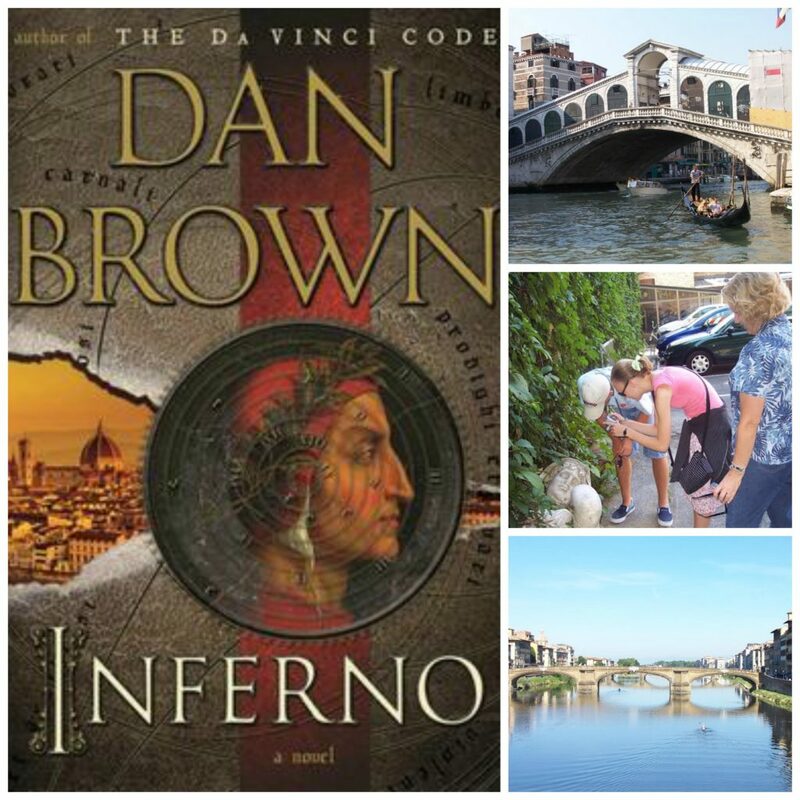 Reading Inferno helped me relive my family’s 2006 vacation to Venice and Florence. 12. McDonald’s really needs to get on the gluten free bandwagon. Their vanilla soft serve is amazing, but I would enjoy it so much more if I could eat it out of a cone. 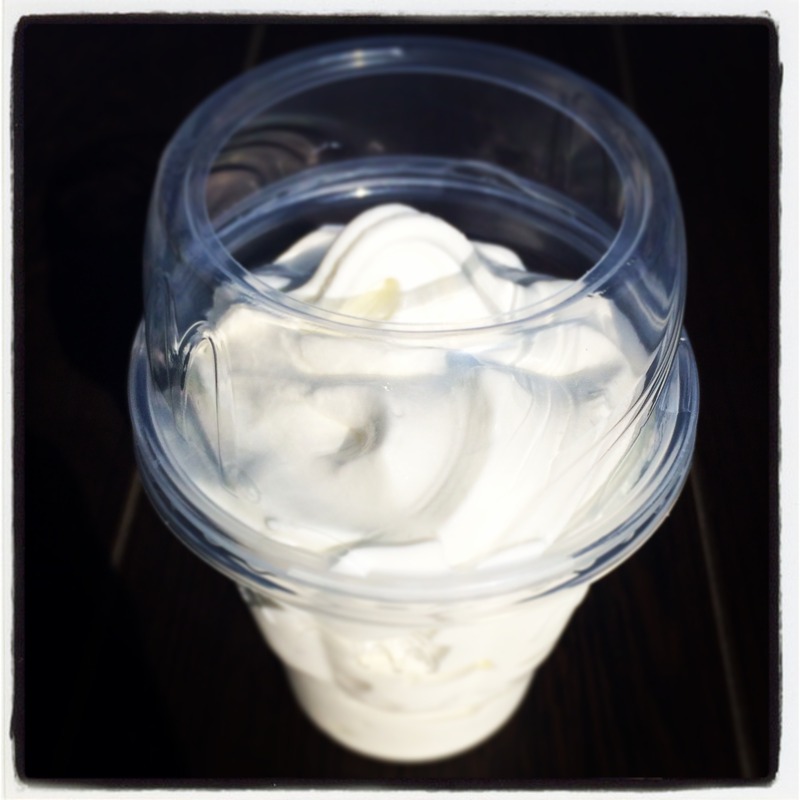 Would it be weird if I brought my own gluten-free cone to McDonald’s and asked them to fill it? 13. Tutoring a 6th-grader has taught me that I am better at middle-school math than I thought, but I am absolutely helpless at everything related to Earth Science. I am not sure if I just was never taught this subject in school, or if I did learn it, and it was a traumatic experience that I have completely blocked from my memory. 14. 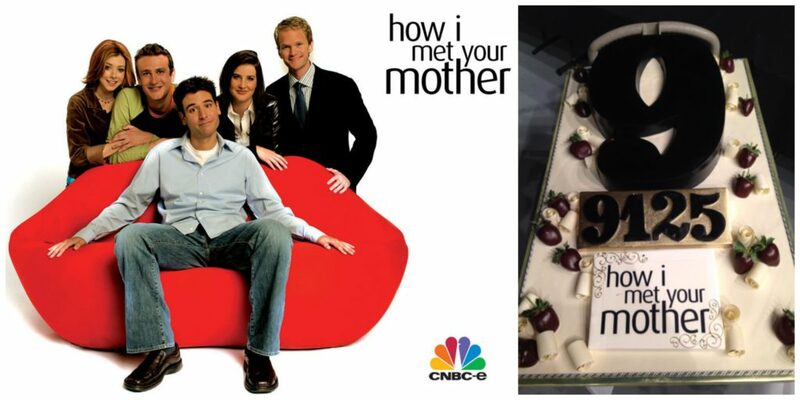 During its nine years on the air, the cast and crew of the show How I Met Your Mother (AKA The Best Show EVER!) filmed 208 episodes and 9,125 scenes. That’s an average of about 44 scenes per episode. I once tried counting scenes in an episode and completely lost track – now I know why! Josh Radnor posted a picture of this cake on Twitter. 15. I’m not usually into YouTube videos, but I could spend hours watching these movie trailer parodies. 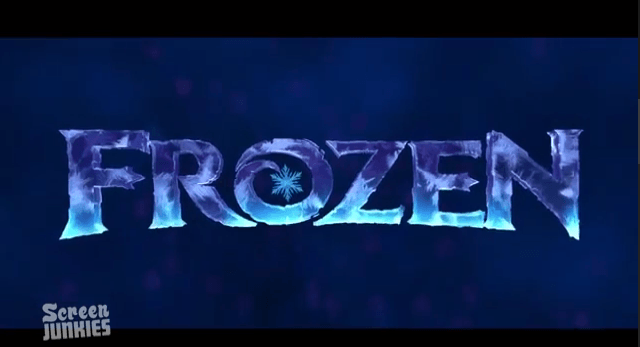 As much as I loved the movie Frozen, this Honest Trailer for Frozen may be even better than the actual movie! Honest Video for Frozen – click through to watch the video. You’ll be glad you did! 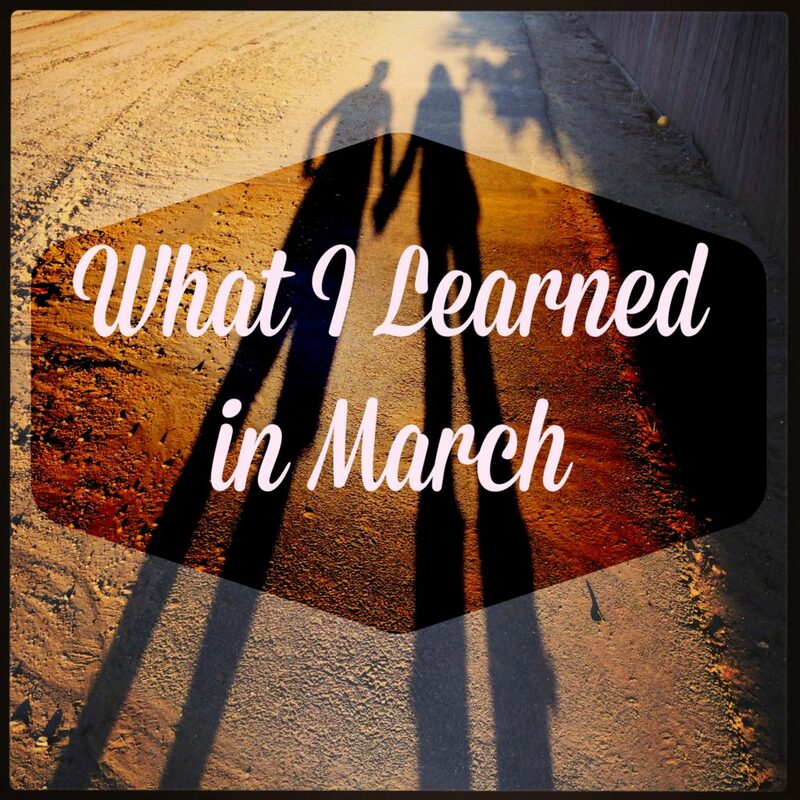 I am linking up with a community of other bloggers to share a spectrum of things we learned in the month of March. Visit Chatting at the Sky to read about what others have been learning.